Montgomery County, Pa., is a destination that can definitely make your heart thump, as evidenced by our past posting to The Pursuit. Consider our adventures trampolining, rock climbing, ziplining and kayaking. Or the bravery it took to face one of our Halloween haunts. But not all the cardiac activity we inspire comes from an adrenaline rush. Some of it results from the opportunity for you and your special someone to hold hands, walk beneath a pale blue moon, or whisper sweet nothings at a corner table for two. 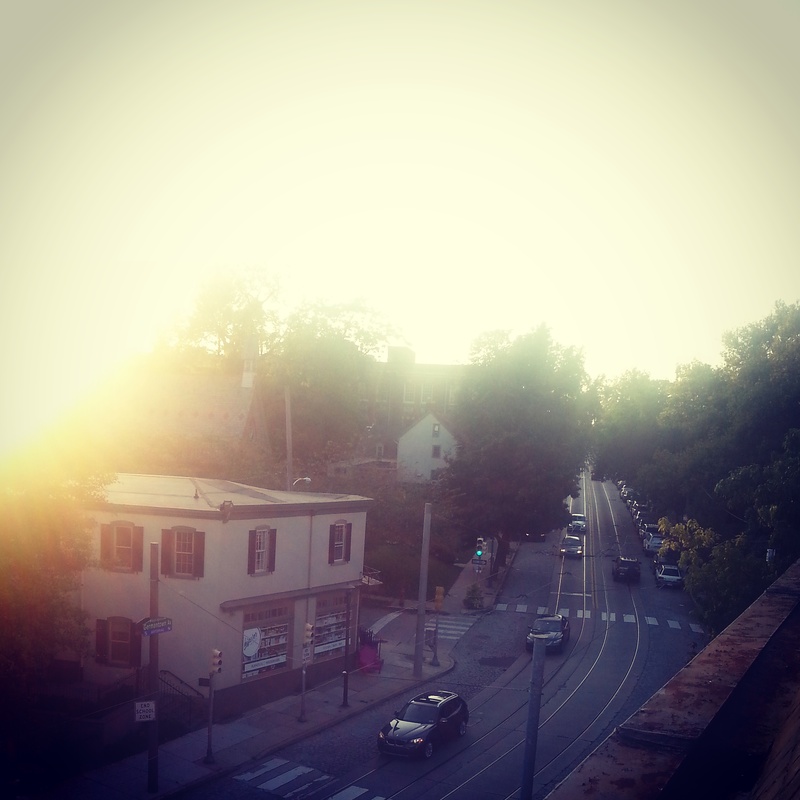 One of the most romantic neighborhoods in our area is Chestnut Hill. Boasting not only historical significance (during both the Revolutionary and Civil Wars) but also a lively business district, the village is tailor made for a couple seeking an inviting backdrop for time together. 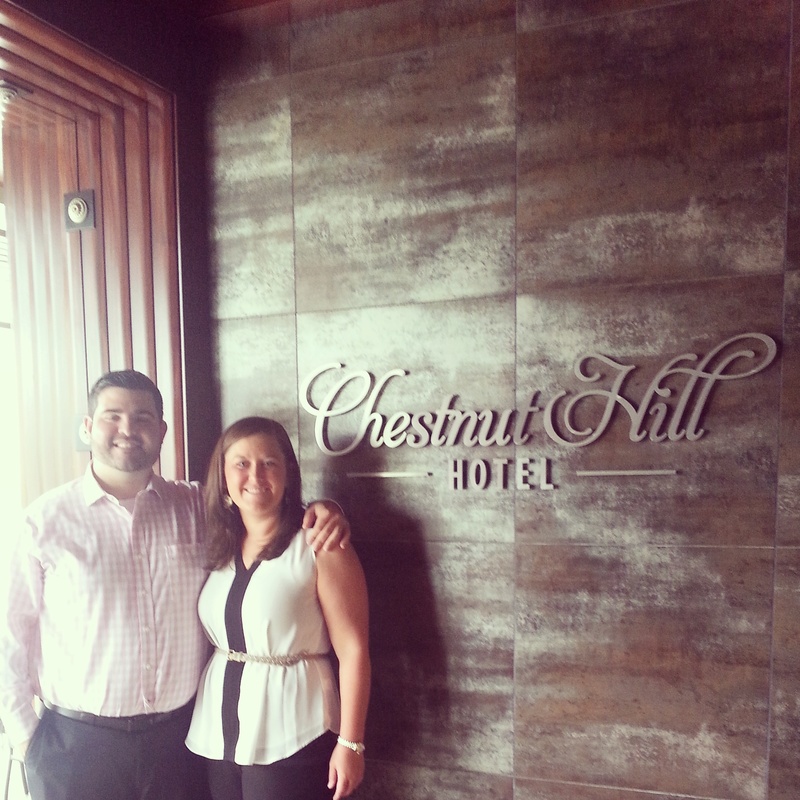 Andy and Jenny spent an evening discovering the intimate spots in Chestnut Hill, beginning their escape by checking into the recently refurbished Chestnut Hill Hotel. Ron Pete, owner, has overseen the transformation of the property, which now encompasses the entire corner of Germantown Avenue and Mermaid Lane. Although the structures have changed appearances and footprints over the centuries, this location has been welcoming guests since an inn was first constructed there in 1772. Today, the hotel features rooms in the main building, as well as cozy and romantic rooms in a former post office building and a carriage house, and each has a distinct look and feel. Connecting them is a charming alleyway that has been decorated with interesting artwork. "We donated art supplies to local schools," Pete explains. "The work that came back was so interesting and varied that we had it mounted, offering protection from the elements, and hung. It really brings energy and color to this space." The corridor connects foot traffic to a quiet open space where oversized colorful chairs surround a fire pit. "They&apos;re high tech," Pete says. "They have docking stations for iPods and other electronic music devices built right in." The courtyard, with its share of funky sculpture and a small fountain, also leads to a gourmet farmers&apos; market, where meat, produce, baked goods, flowers, crafts and food are sold. Andy and Jenny were welcomed into a room in the main building. "It was spacious," he comments. 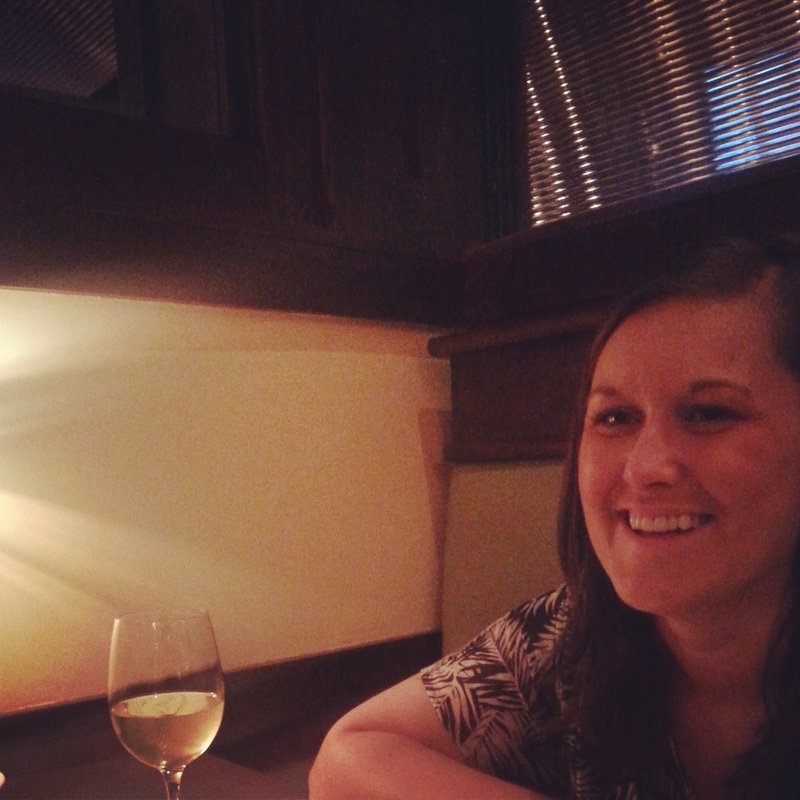 "We found it warm and inviting, with a king-sized bed and overstuffed pillows. There was a bottle of red wine waiting for us." Ron Pete knows the stuff that romance is made of. "The weather that night was great," Andy continues. "So we were able to open the windows and enjoy the fresh air and the sounds from the street below. The bathroom was big and beautiful, with granite tile and a back-lit electric mirror." 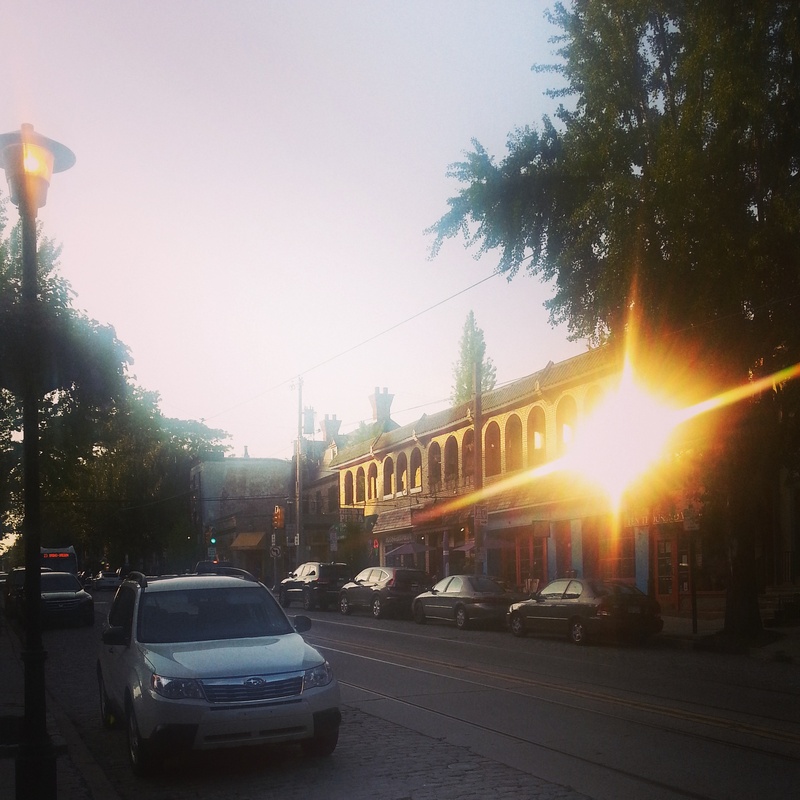 The couple treated themselves to a stroll along the cobblestoned Germantown Avenue. The early fall sunset darkened the sky to shades of indigo and then violet, and the festive lighting of the local businesses winked on. Next door to the hotel, the Paris Bistro and Jazz Café was springing to life. Andy and Jenny looked in, seeing if they could find a pair of seats, but the club was jammed, a typical occurrence. "I should have called ahead," Andy laments. Undaunted, the couple retreated to a local brewery for dinner. At their quiet table, they chatted over flatbreads and clam chowder. After the meal, they strolled back to the hotel for the night. The following morning, Andy and Jenny enjoyed the continental breakfast, served in the former gentlemen&apos;s card room on the hotel&apos;s first floor. "We had yogurt and bagels," Andy says. "And there was a waffle maker there if guests wanted." If this respite had been longer, the pair would have walked the impressive gardens of nearby Morris Arboretum and taken in the romantic sights of 92-acres of Victorian garden displays. Another local spot in which to enjoy each other&apos;s company in the great outdoors is the Wissahickon Valley Trail, a seven-mile pathway through an ever-changing panorama of gorgeous scenery. Their short romantic getaway over, it was time for Andy and Jenny to check out and return to their schedules and work responsibilities. But as the lovebirds return to their daily routine, they know that they&apos;re never far from an amorous escape.